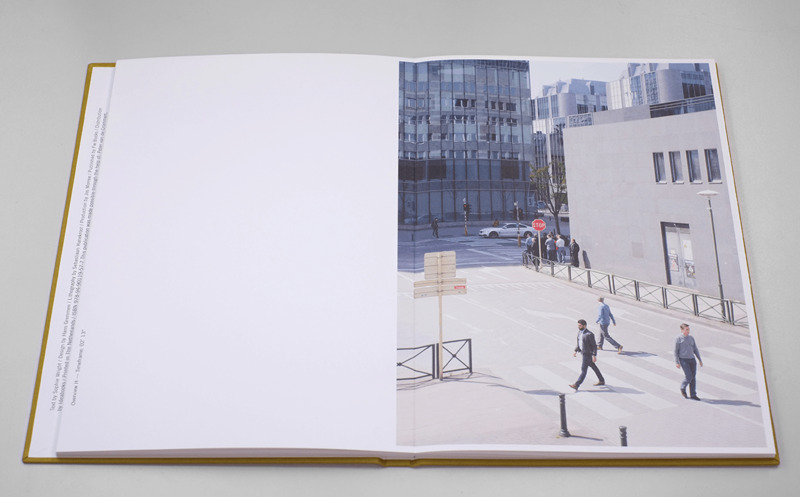 Book of the Week Book of the Week: A Pick by Laura M. André Laura M. André selects False Positives, with photographs by Esther Hovers, as Book of the Week. False Positives, by Esther Hovers. 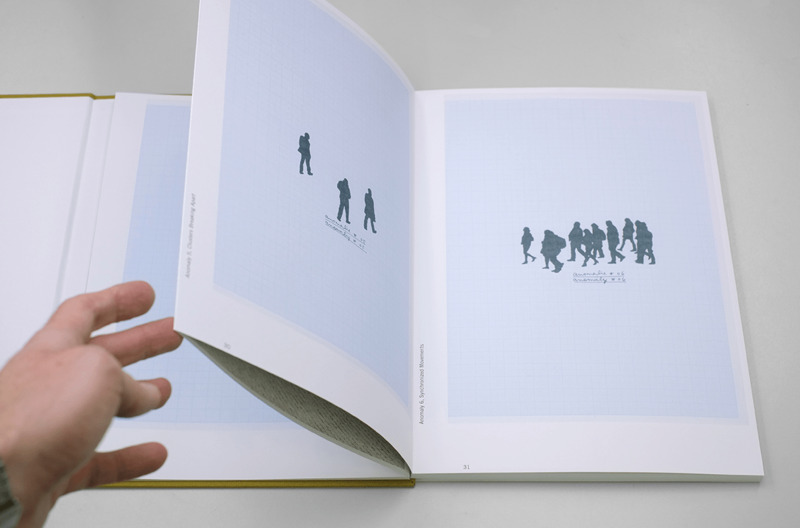 Laura M. André selects False Positives by Esther Hovers, from Fw: Books, as Book of the Week. Esther Hovers' recent project False Positives investigates how artificial intelligence surveillance systems detect potential criminal behavior in public spaces. The result is a visual taxonomy of eight aberrant behaviors that intelligence experts have identified as increasing the probability that something is amiss. Hovers conceived of the project while visiting the La Défense business district of Paris and being struck by its brutal architecture and dense security web. She shot the photographs, however, in Brussels — the EU's de facto capital. Hovers positioned her camera in elevated positions above sidewalks, building entrances, and plazas in order to mimic the high placement of security cameras. The layered images in the book are a mix of straight documentary and posed tableaux. It's impossible to tell which is which — which, of course, is the point. What constitutes normal or abnormal behavior? Hovers worked with Dutch security experts to learn how they use dataveillance (visual information to assemble data and measure potential threats). 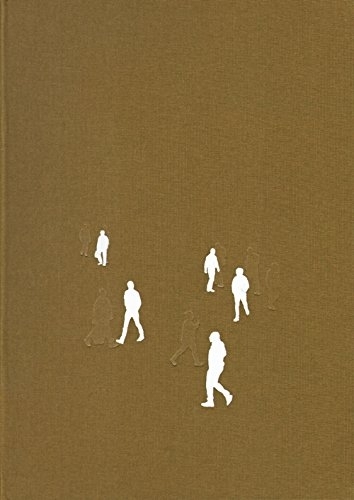 The book includes a mix of photographs and drawings that illustrate the eight anomalies, as well as the normative behavior for a given public space within Brussels: Standing Still, Fast Movements, Isolated Objects, People on Street Corners, Synchronized Group Movements, Repeatedly Looking Back, and Moving in Deviant Directions. It's up to the viewer to look critically at the images and decide whether they indicate a threat. The ongoing debates about the effectiveness of mass "intelligent" surveillance systems in public spaces raise legitimate psychological, racial, and legal questions about what — if any — correlation exists between physical appearances, movement within space, group behavior, etc. Recent studies suggest that there is no reliable correlation. But looking through this book and becoming aware of these anomalous patterns led me to think differently — more suspiciously — about the way I perceive others within public spaces — a sad but true reality of our time. False Positives by Esther Hovers. Fw: Books, 2017.